Not gonna lie, it felt kind of amazing to be braiding in front of the camera again! 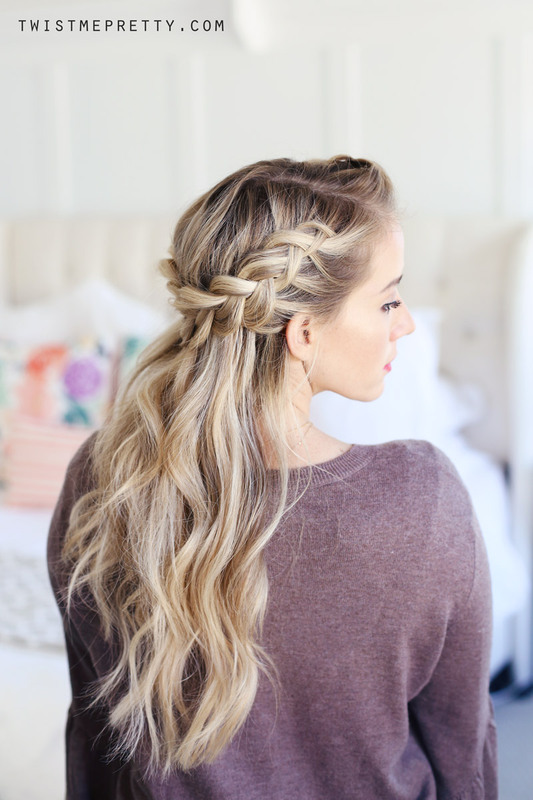 To kick off the month of November, I wanted to show you how to do a crown braid. I know a lot you guys are busy chasing kids or waking up early for work or school and those fancy braids just don’t get as much use throughout the week!!! 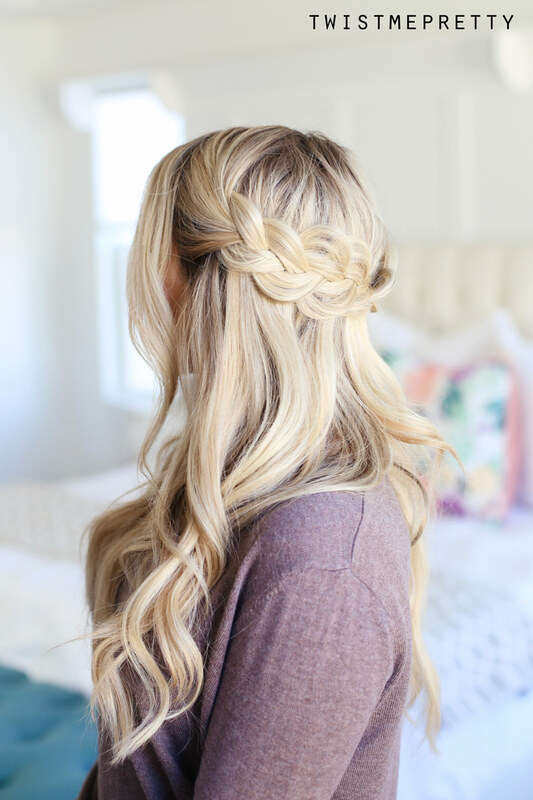 I love the crown braid because it’s just one of those classic styles you can’t go wrong with. 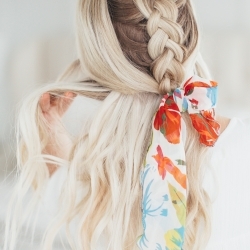 It’s quick, beautiful, perfect for second day hair and it’ll get you all the compliments! 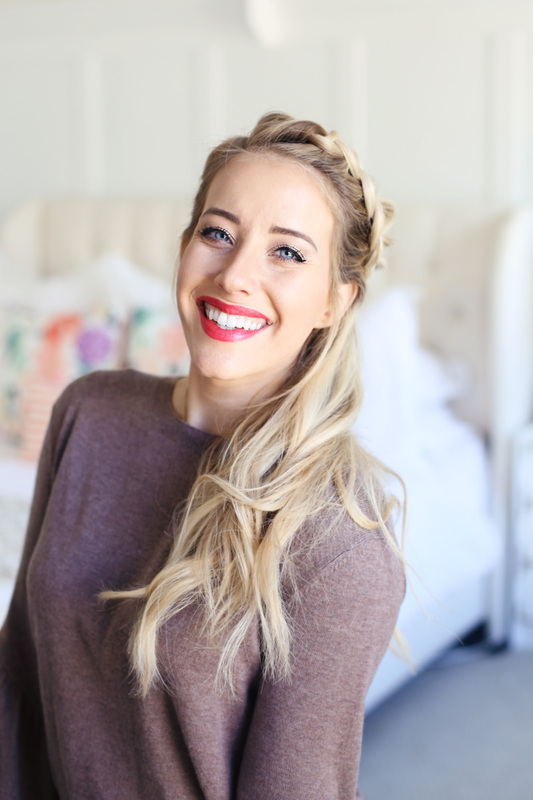 I’ve got two different ways for you to style the crown braid today, let’s dig in shall we?! This is the easiest of all the braids! 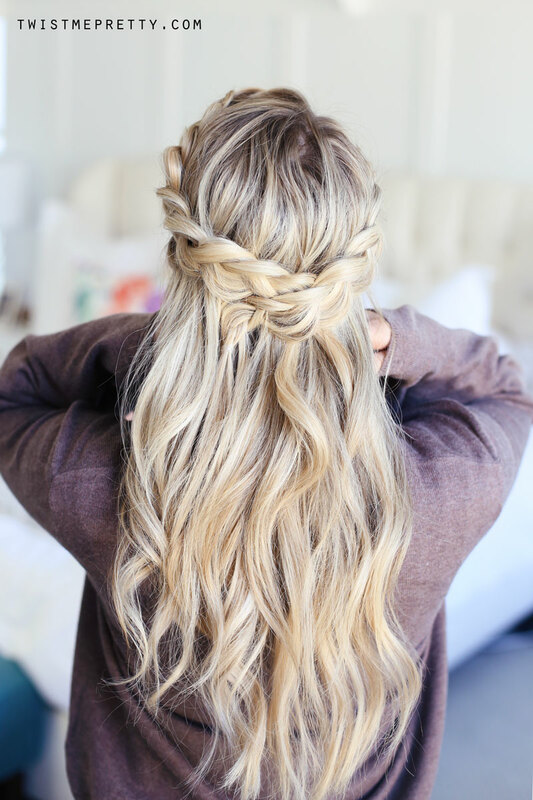 It’s literally 2 three-strand braids stretched out and pinned together in the back. This is also the beginning to how I style my braided ponytail and I’ll sometimes throw the ends into a long fishtail braid or messy bun! 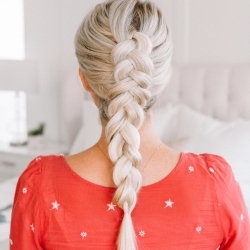 This braid is elevated just a little bit more and styled with a dutch lace braid. A lot of words but pretty basic. All you’re gonna do is start the sections out with a dutch braid, only three stitches. Then stop adding in new sections of hair to that top strand. 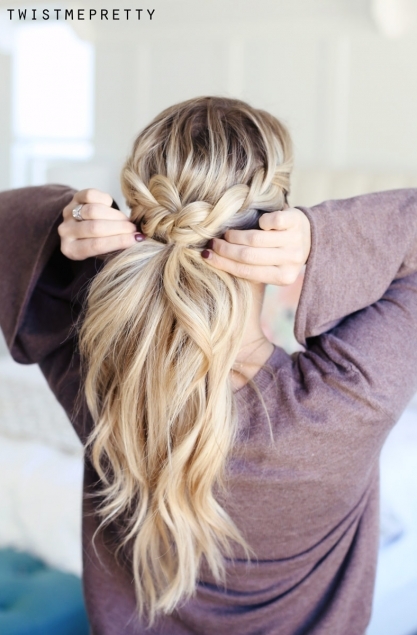 When you reach your ear, finish off with a three strand braid, stretch the braids out and combine together with pins! 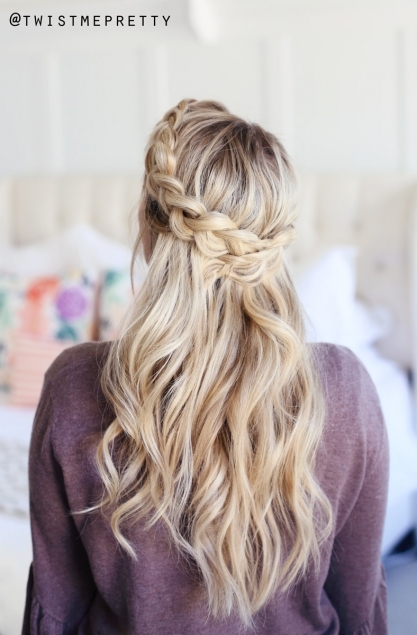 The lace braid is going to pop that braid out and really show off the texture in the hair. 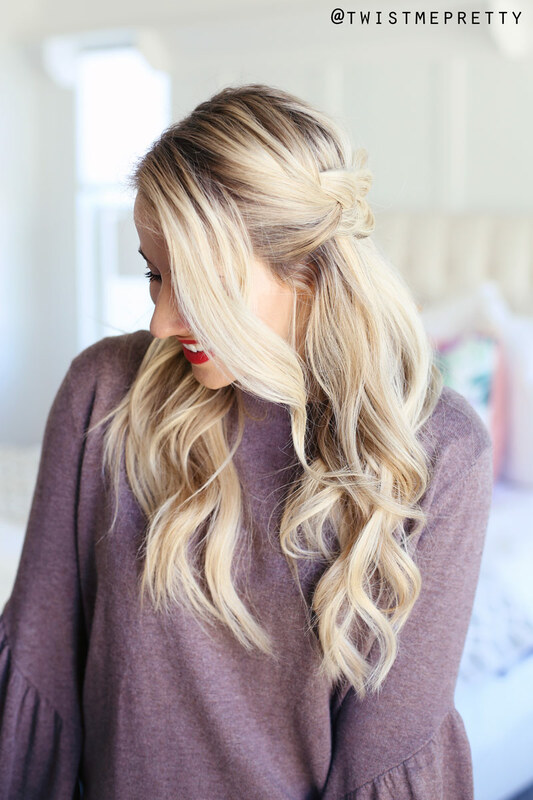 I love styling my hair like this when I need to get my bangs out of my face and it looks amazing dressed up for date night or formal events. Bonus Style! 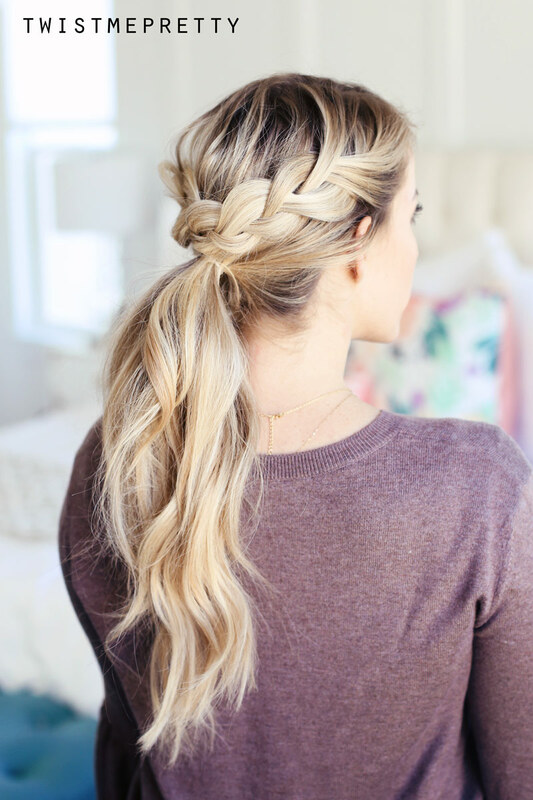 This braided ponytail is EVERYTHING!!!! 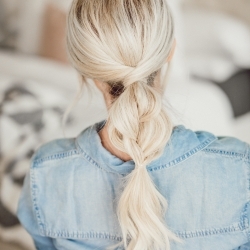 All you need to do is pull the hair left down into a ponytail with a clear elastic, use two if your hair is super thick, and cinch the ponytail up so that it sits right under those braids. 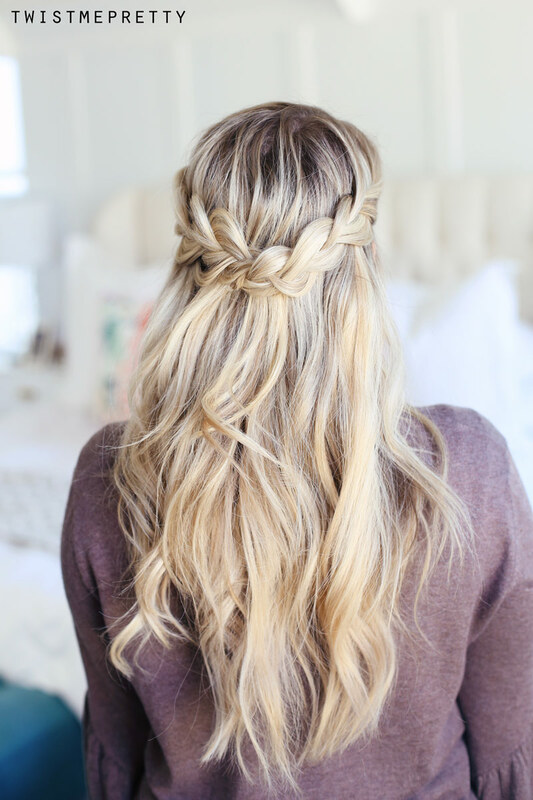 Have you tried a crown braid before? If not, what’s holding you back? Is your hair too thick? Is your hair too fine that the bobby pins just slide out? 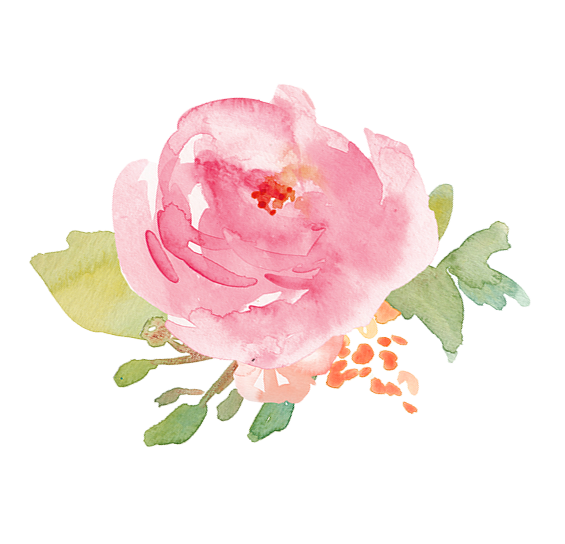 Let me know in the comments because I want to do a Q+A soon to help those of you who have totally given up find some courage to try again! 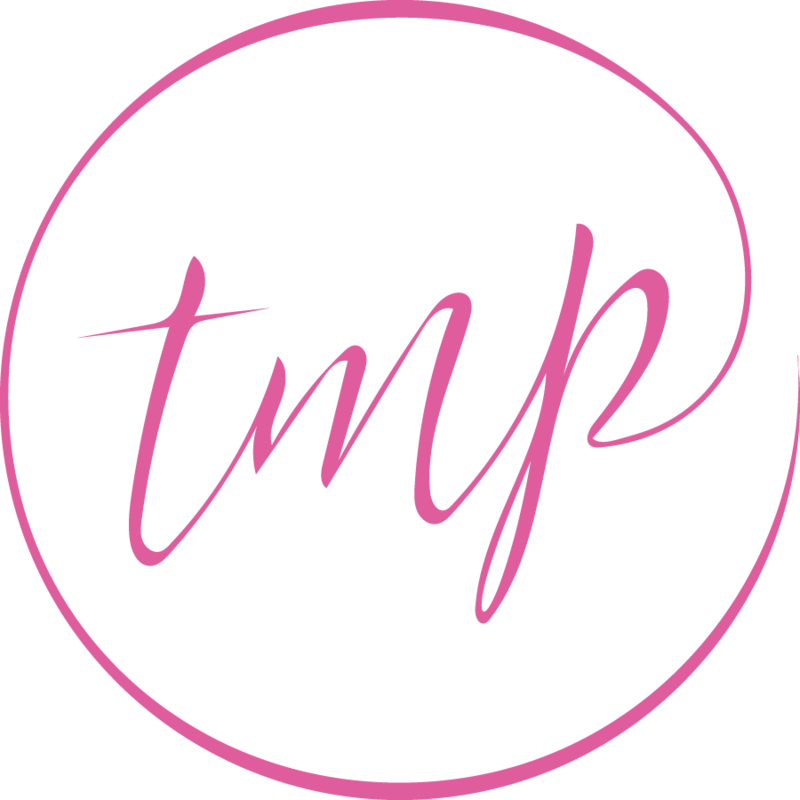 If you haven’t subscribed to my youtube channel, go do iiiiiit! K, love your faces!